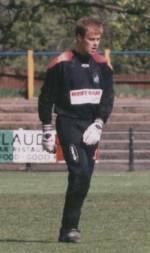 Very popular goalkeeper who signed for City at the start of the 1996/97 season. Left City to join rivals Sutton United in 1998. Currently at Havant & Waterlooville.